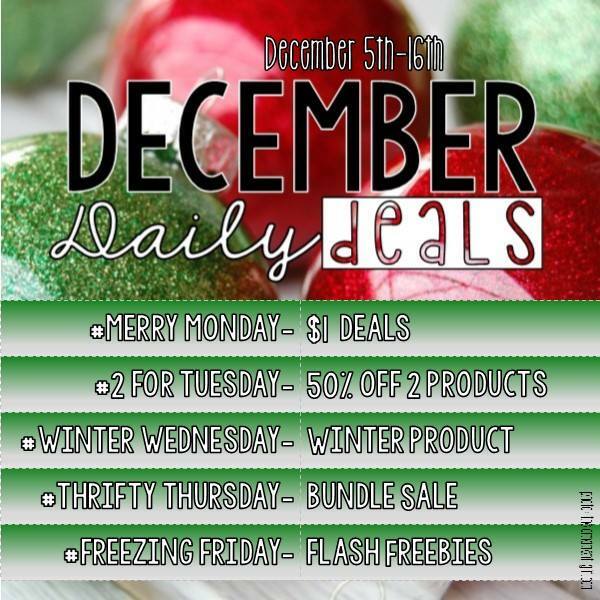 One more week of December Daily Deals! | Primary Planet! One more week of December Daily Deals! Here we go again! One more week of amazing deals on TpT! 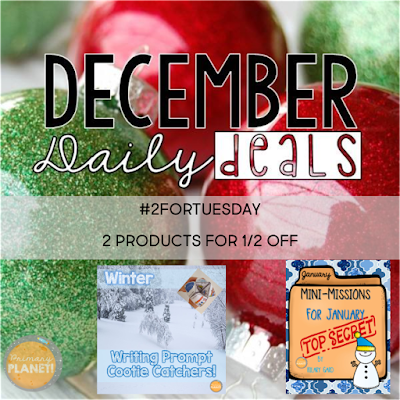 Search the hashtags each day to find great December deals! Here is what is going on in my store this week! 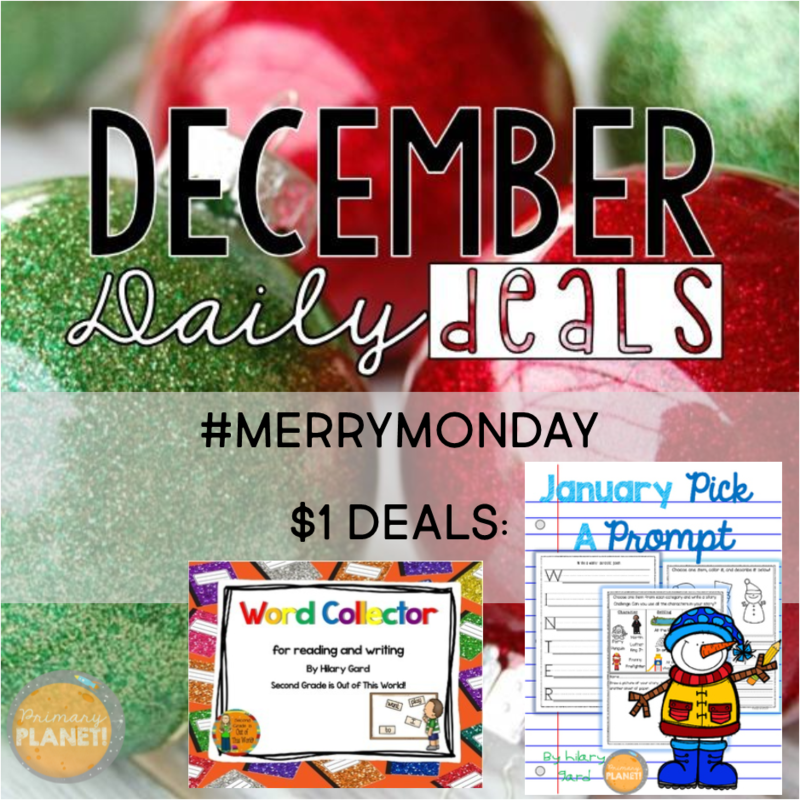 January Pick a Prompt ! Two Products for 50% off! Winter Writing Prompt Cootie Catchers! 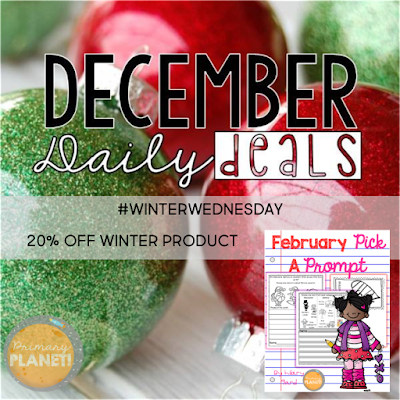 February Pick a Prompts for 20% off! 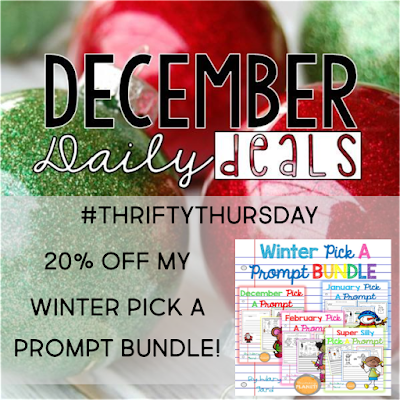 20% Off Winter Pick a Prompt Bundle! 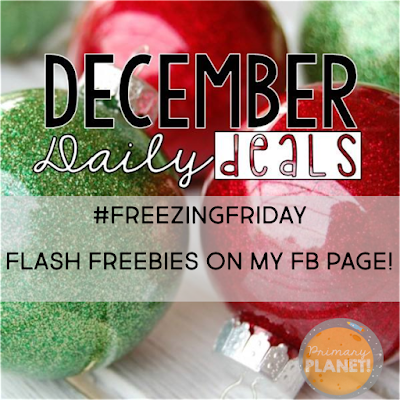 You'll have to follow me on FB to find out my freebies on Friday!